2014 Race Results Now Available! WABI-TV5 will NOT be covering the Kenduskeag this year. Normally WABI broadcasts live from the bridge at Six Mile Falls, but with low water levels and the expectation that many paddlers will likely portage the area altogether, they've pulled the plug. Reports are filtering in with regard to the stream today. Some are saying it's "runnable" but "bumpy". Prepare to scrape some rocks. 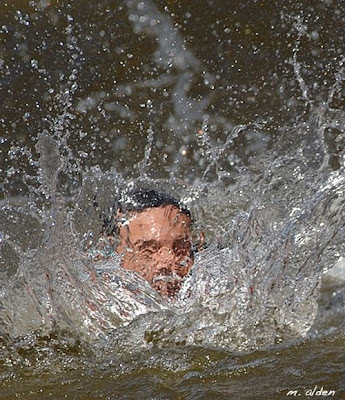 Jumping out to pull your boat through certain sections seems unavoidable. And with little rain in the forecast there's little reason to think this will change before Saturday. Which isn't to say that people won't find way to have a good time. They will! Oh boy. I couldn't catch a break this year. The shortened race course meant that I was out of luck when it came to setting up at the Shopping Cart. I tried to set up at a few other spots along the stream but for various reasons (mostly involving high water and distance) I came up short. Also - Judy Weatherbee, Bill Knight, Anthony DelMonaco and others have posted photo galleries which are linked on the Kenduskeag Stream Canoe Race Facebook page. So if you are on Facebook, do check it out! I hope to see you next year. Until then, keep your paddle in the water. If you lost anything during the race or if you found something that belongs to somebody else, you can try posting your info in the comments here. Bangor Parks & Recreation may be able to help too - (207) 992-4490. 2014 Registration Form Now Available! 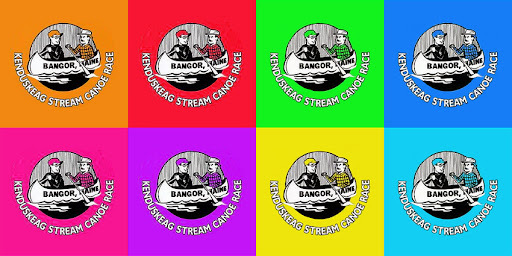 Bangor Parks and Recreation just released the 2014 registration form for the 48th Annual Kenduskeag Stream Canoe Race. This year the race will be held on Saturday, April 19th. 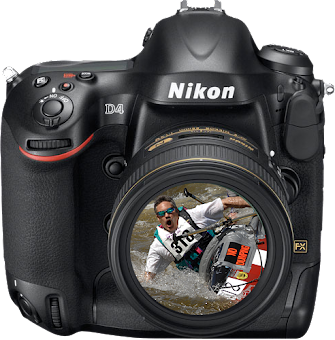 Remember, if you register for the canoe race early you will save lots of time and money. PS - this blog is officially out of hibernation.